The GFG swag is all set up! Come say hi at our booth, we'd love to chat. This is one of the many places we've been able to share the vision of Guitars For Glory. 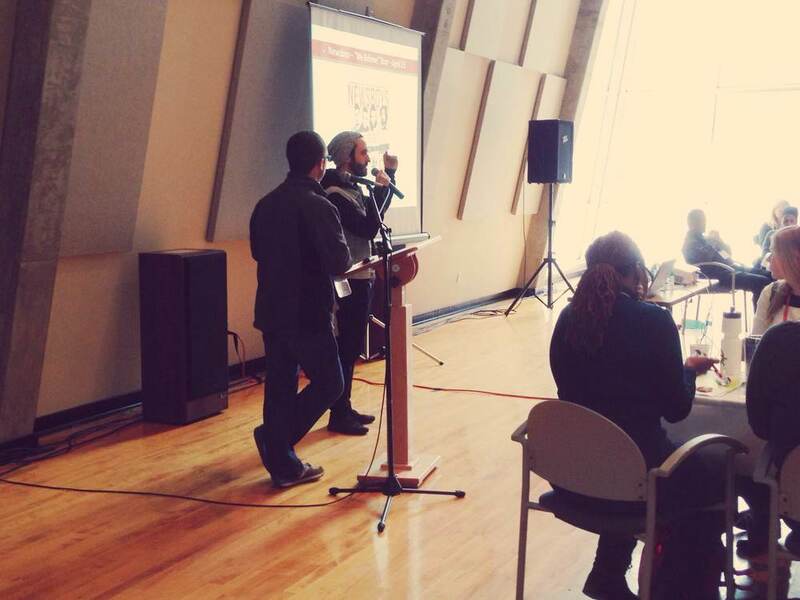 We want to thank Northeastern Seminary and Roberts Wesleyan college for having us at the Youth Summit this year! Some amazing speakers and people here. We want to come to you! 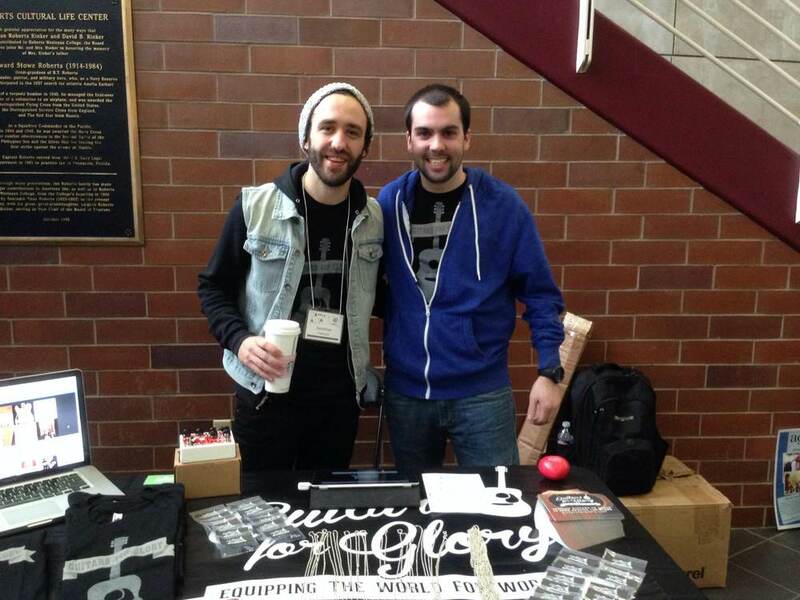 We'd love to come set up a booth, share our vision, or just hang with you. We are very open to coming and being a part of your event, conference, festival, etc..
One of the biggest ways that anyone can help is by getting guitars and instruments into the hands of those around the globe. Many of the people in this room are going on mission relief trips around the world, and we'll be sending instruments with them. Be sure to contact us if you're taking a trip; we'd love to connect with you.